An abundance of historically significant sites is part of what makes Boston one of the most sought-after destinations in the Unites States. For some 65 years, the Freedom Trail has captured the imagination of millions of people who continue to visit the city. It guides them through iconic locations that define Boston as an enduring stronghold of Revolutionary history; it narrates a story of courage and freedom. The trail is 2.5-miles (4 km) long, the path that crosses the city is marked mostly by a red brick line that begins from the Boston Common (the oldest city park in the United States, created in 1634) and ends at the site of the 1775 battle of Bunker Hill. The Freedom Trail is a mostly free experience. 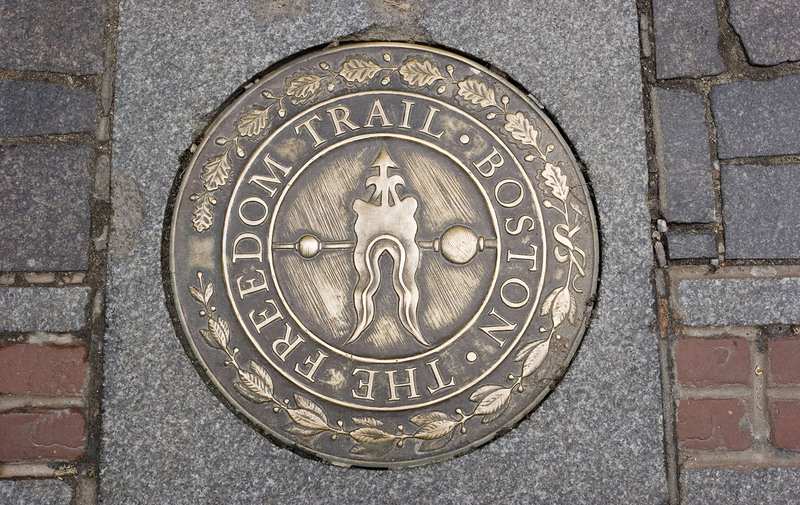 Sixteen locations are included in the Freedom Trail. Only three of them charge an admission fee. The beauty of The Freedom Traill allows for you to do a self guided tour or to hire a guide or join a tour group. One of the most popular stops on the Freedom Trail is The Paul Revere House, located in the North End and dating from 1680. It is especially noteworthy because it presents a cross section of the daily life in early New England. Being one of the oldest houses in the city of Boston it has typical timber construction gives us a sense of how the city must have looked in the late 17th century. Another important landmark of the Freedom Trail, the Old State House was built in 1713 and was the site of two relevant episodes of American history – the 1770 Boston massacre, and the reading of the Declaration of Independence from the east side balcony on July 18, 1776.